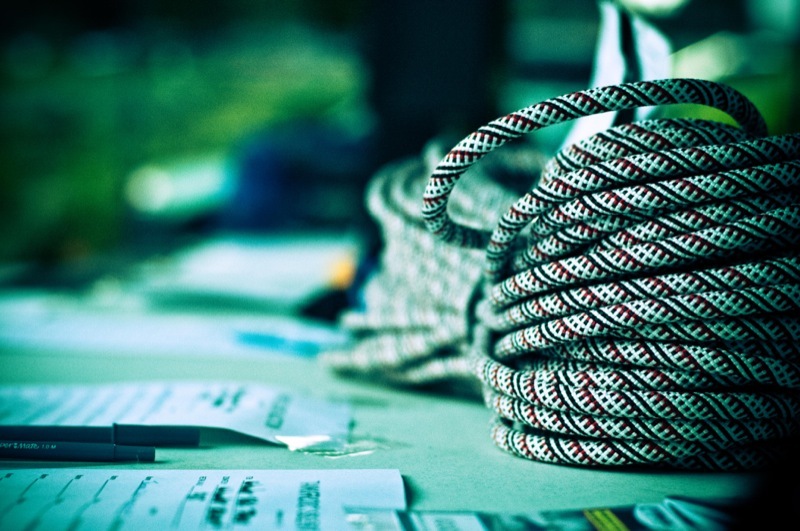 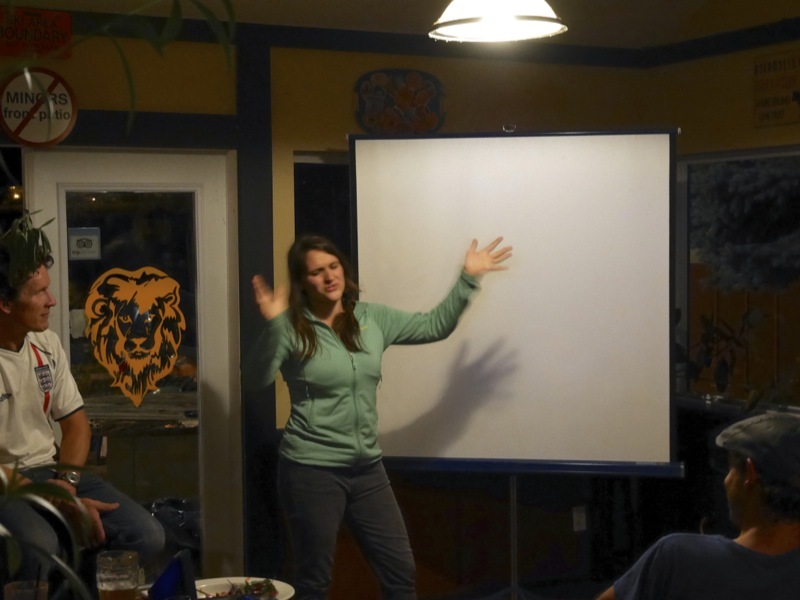 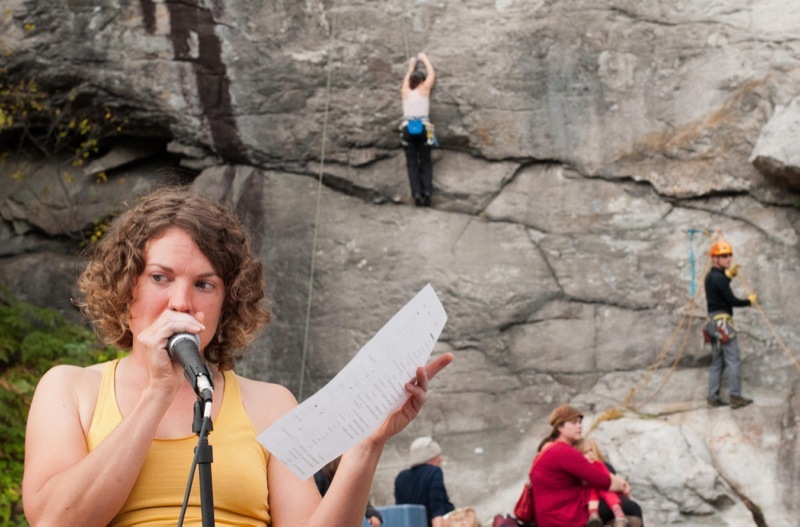 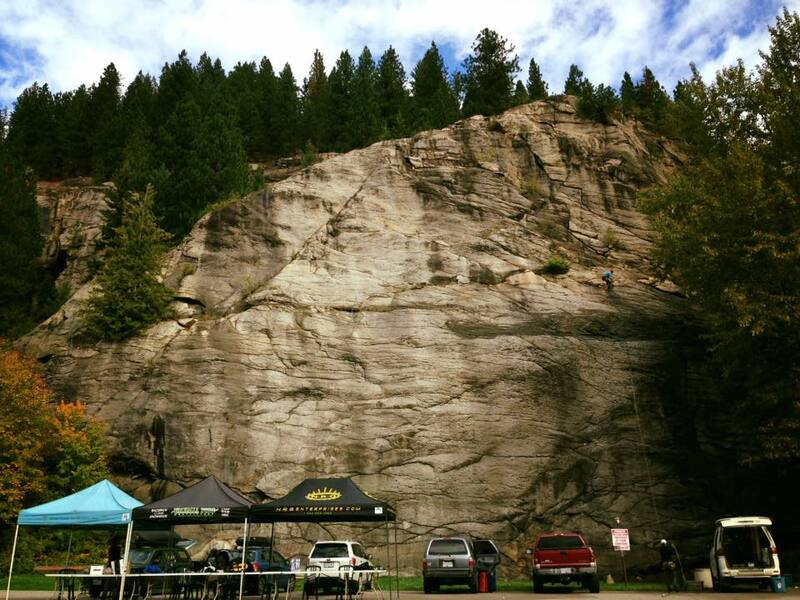 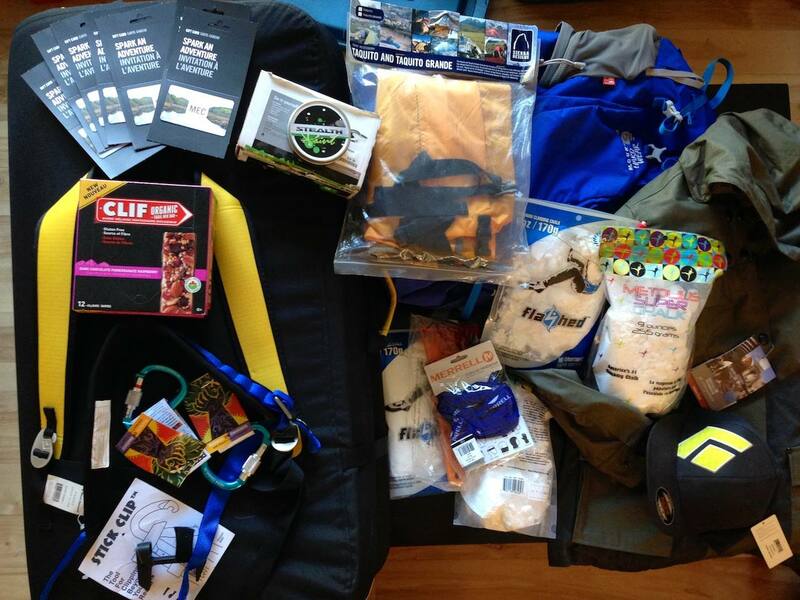 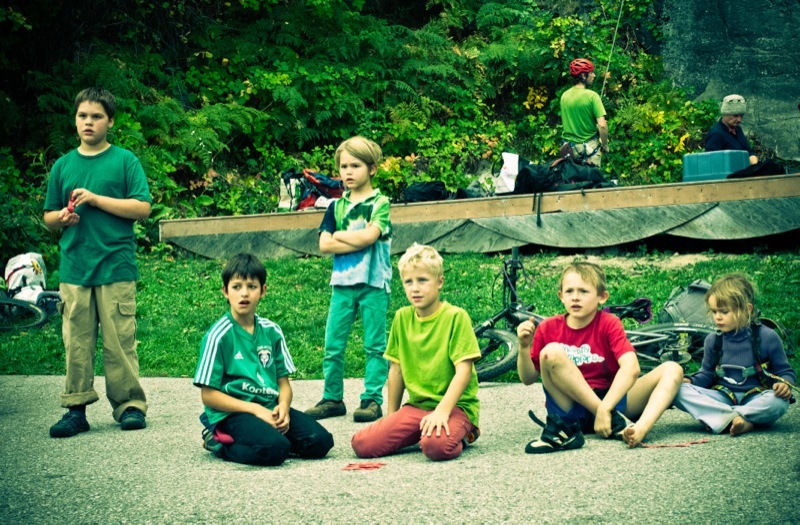 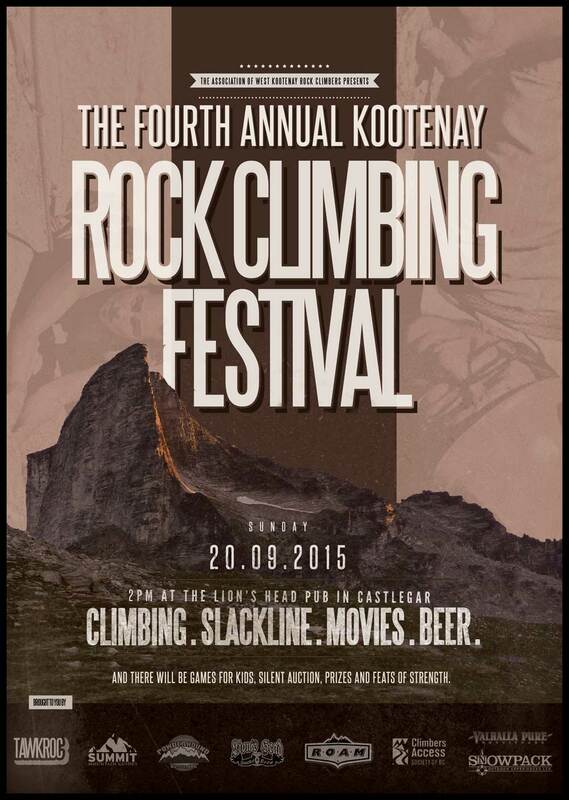 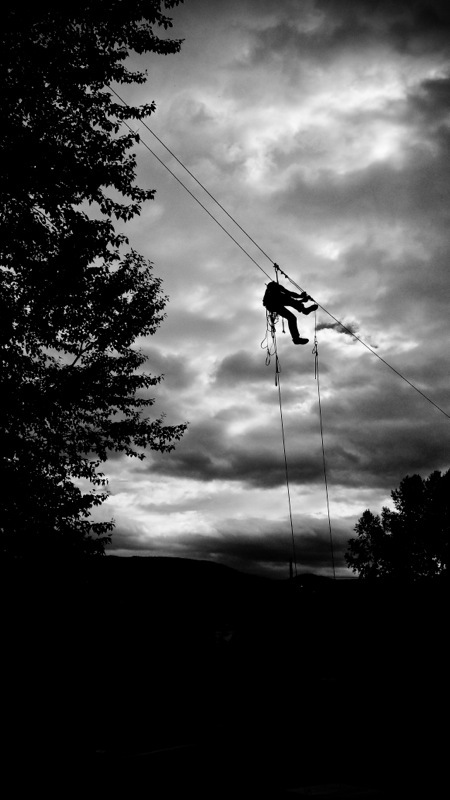 It’s amazing to think the Kootenay Climbing Festival has entered its fourth year. 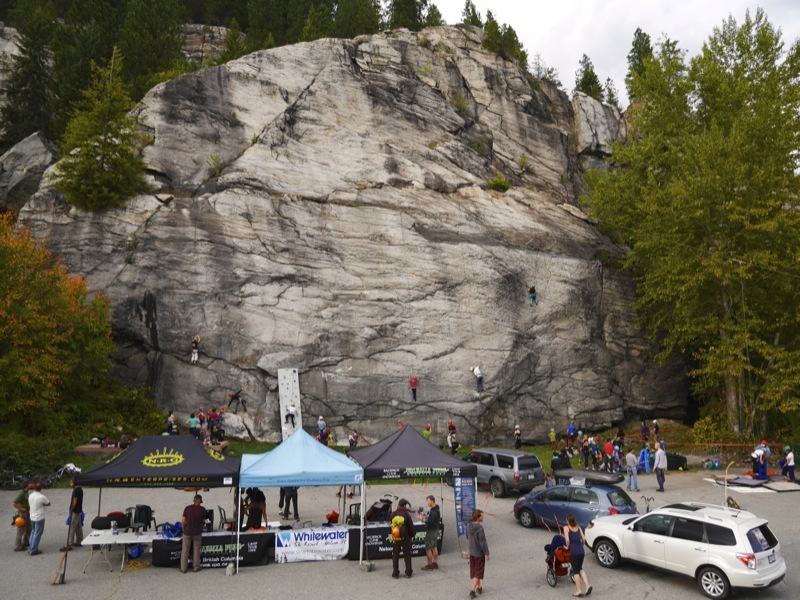 This past Sunday, September 20, the TAWKROC directors again returned to the natural rock climbing wall behind the Lions Head Pub in Robson, BC, and set up a zipline for the kids, slackline, door prize draw, silent auction, and the always popular Tower of Power competition, which sees competitors try to stack the most number of milk crates… while standing on them! 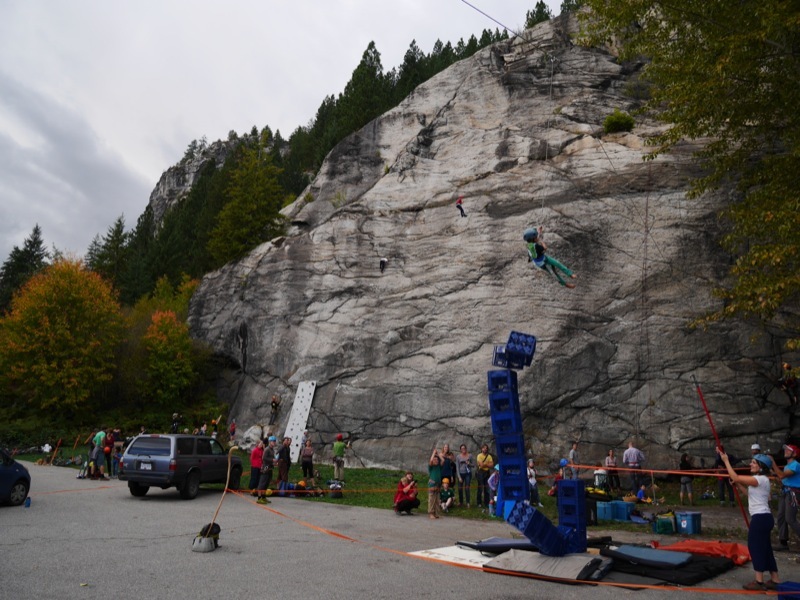 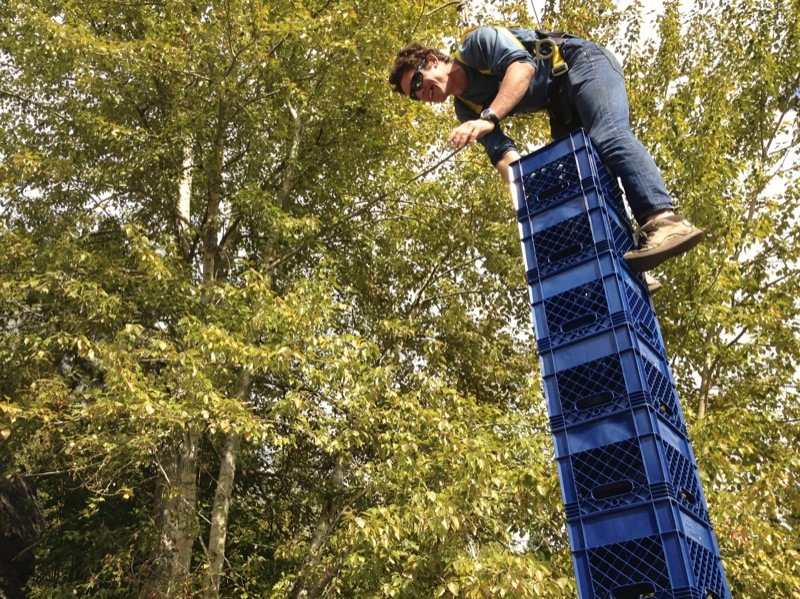 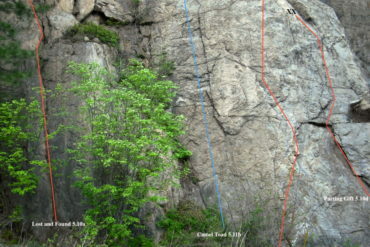 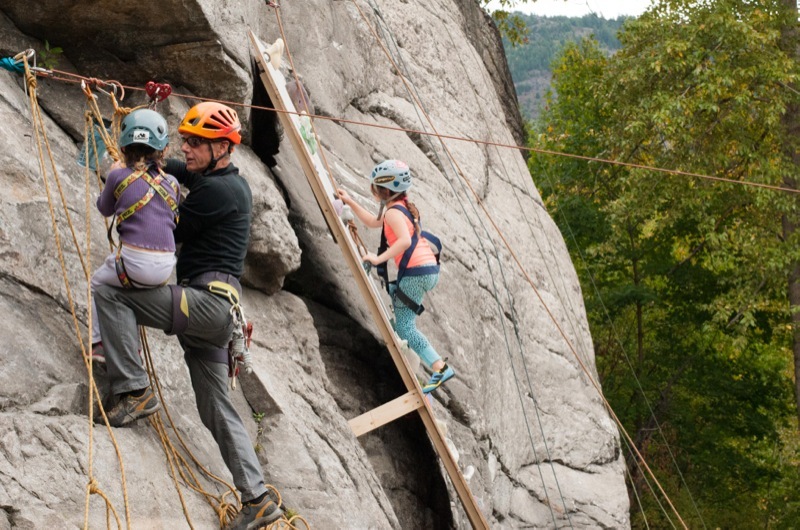 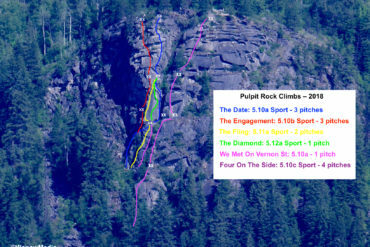 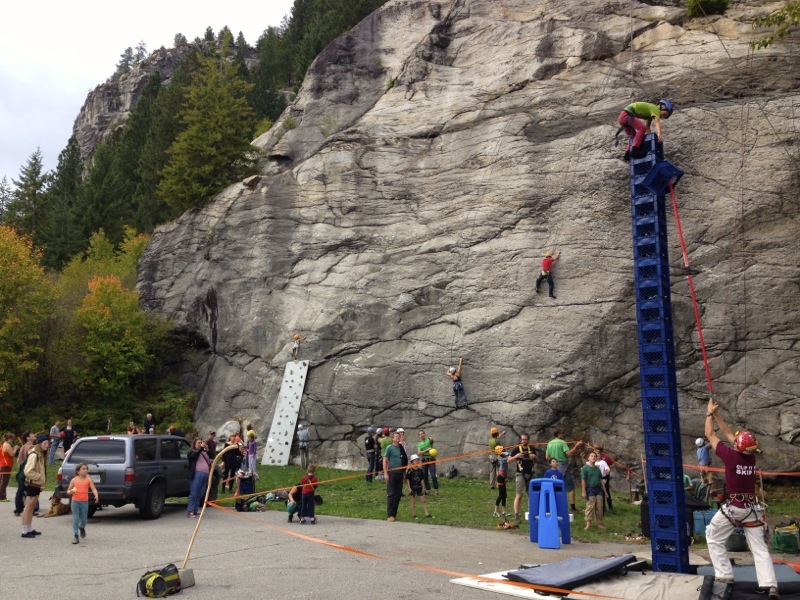 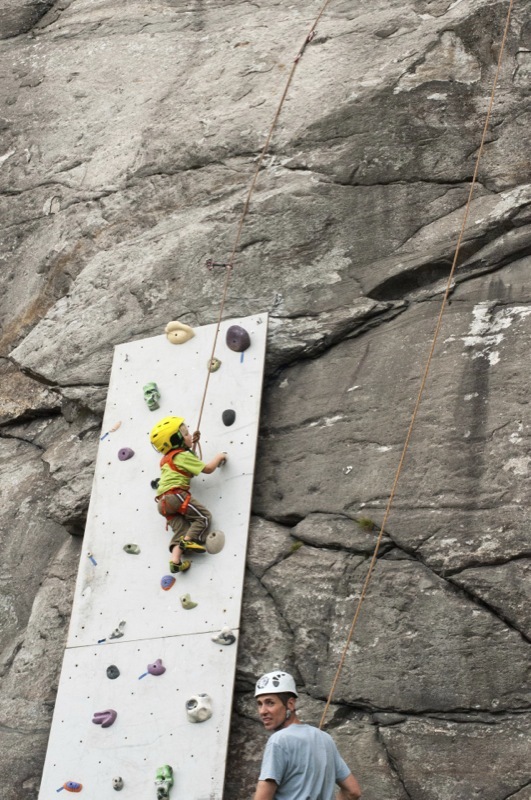 New for this year was the kid climbing wall (affectionately referred to as the route “Underage Drinking,” as well as the story-telling competition at the end of the night in which competitors told tales based on the theme “Epic” and were awarded prizes. 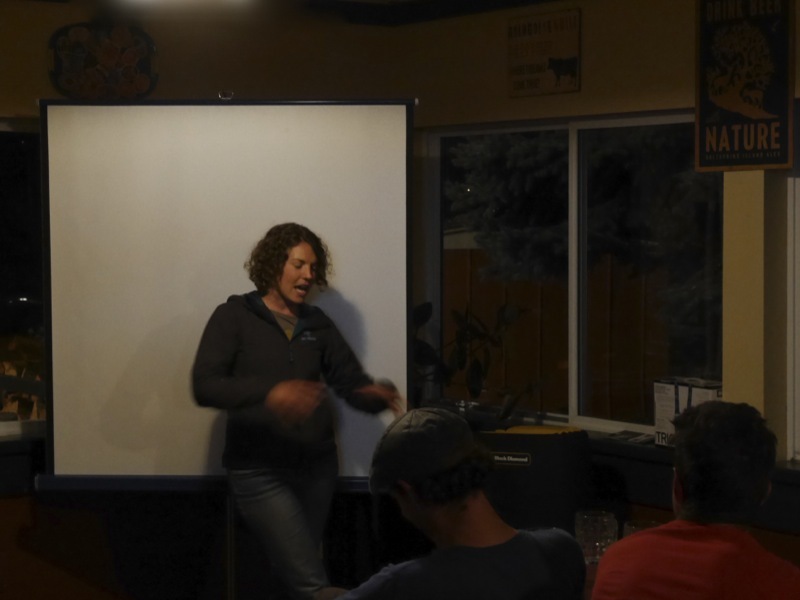 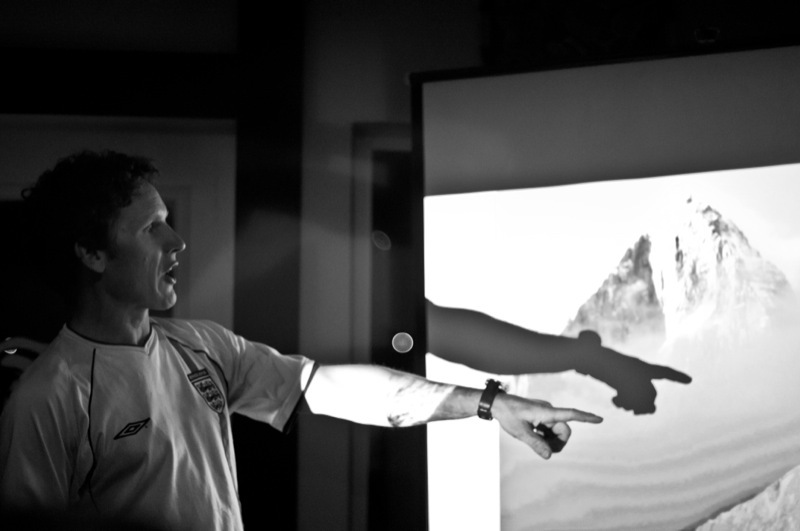 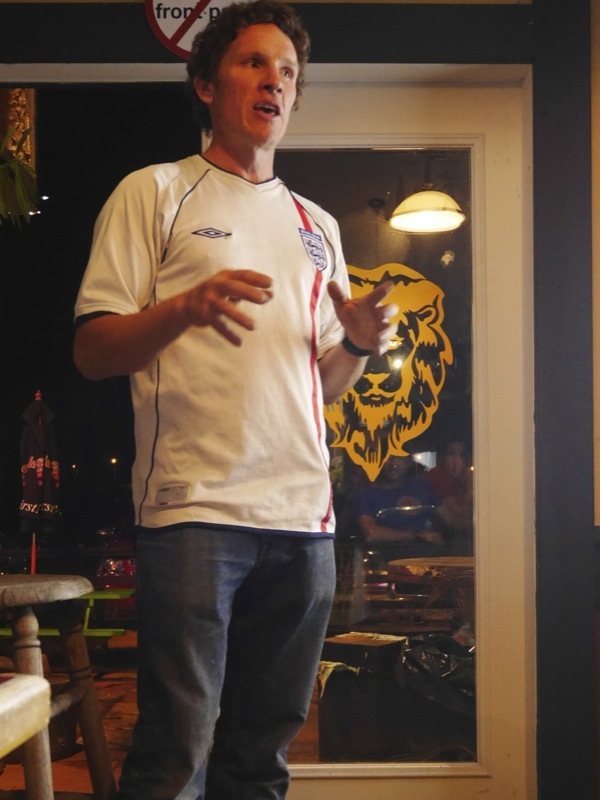 The Kootenay Climbing Festival 2015 also included an excellent presentation by guest speaker Ian Welsted who talked about his various mountaineering adventures around the world and described what it took to win the prestigious Piolet D’Or award. 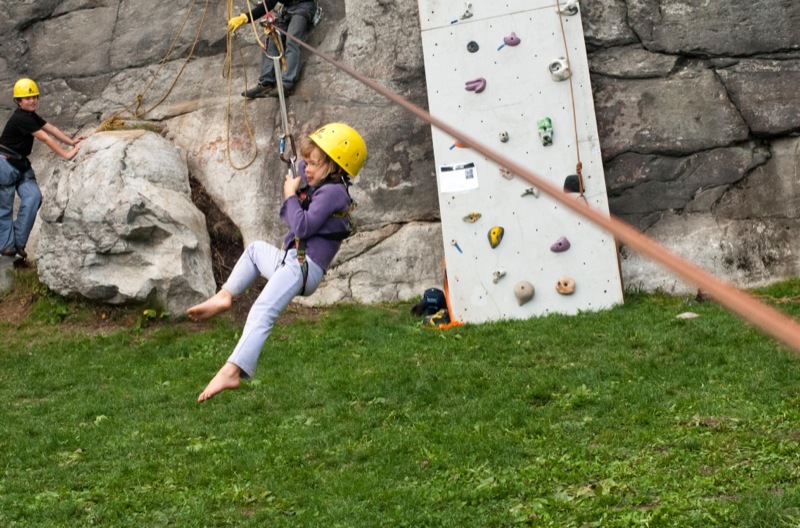 Over 200 moms, dads, kids and climbers visited the festival that lasted from 2pm until 9pm. 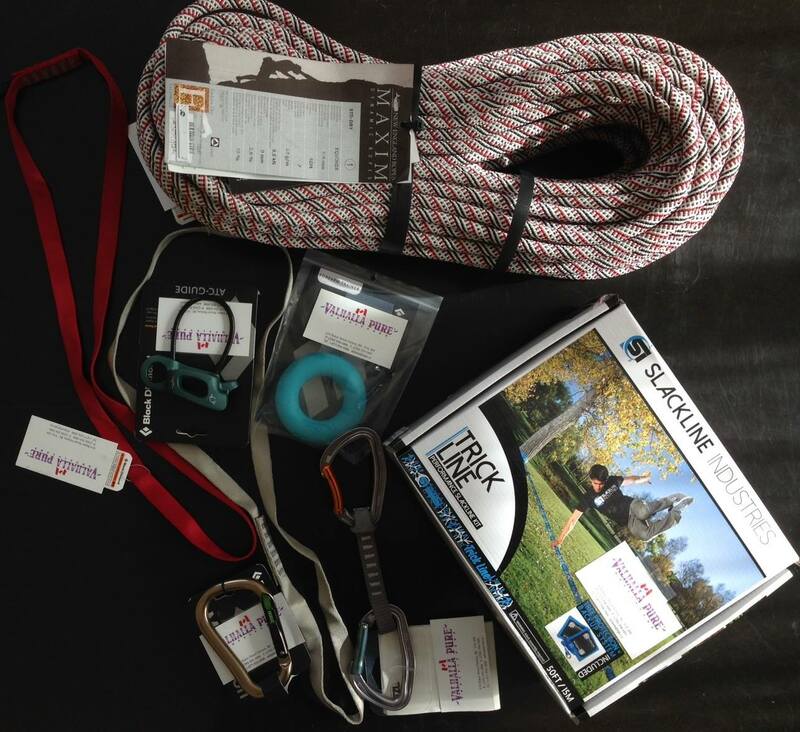 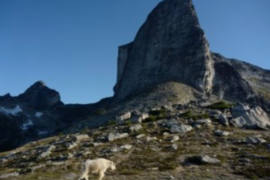 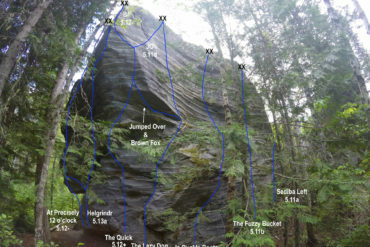 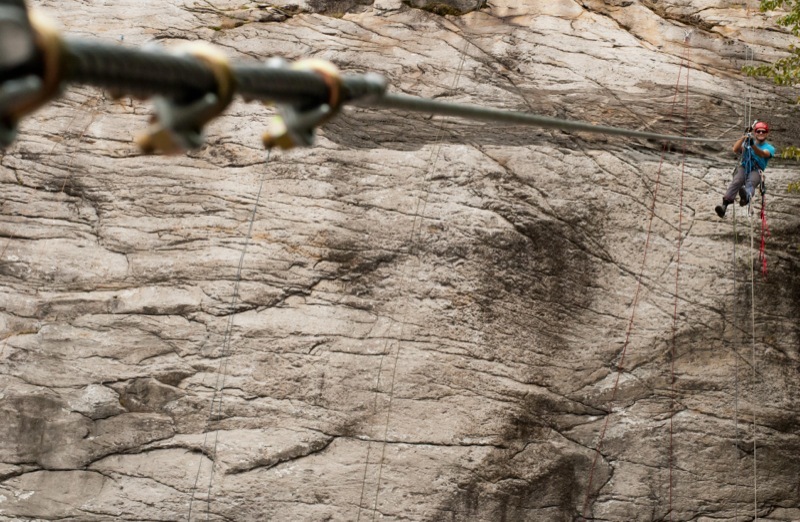 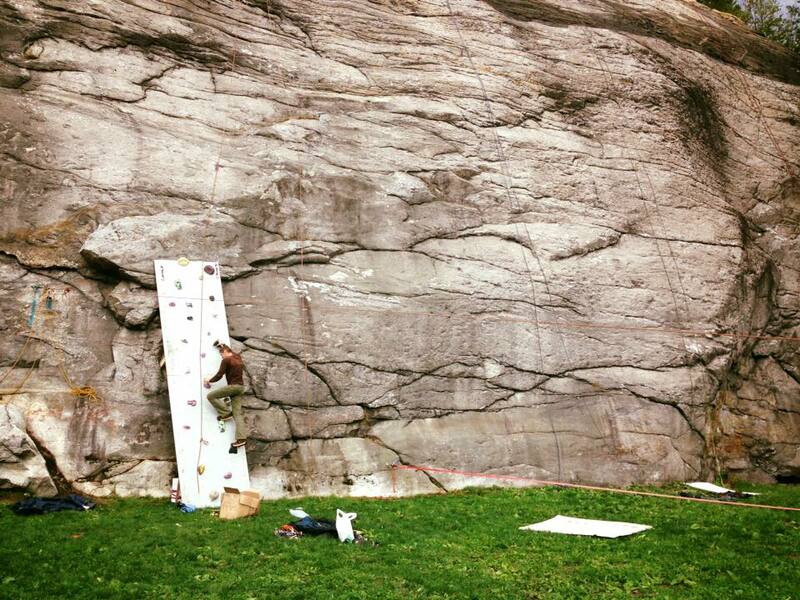 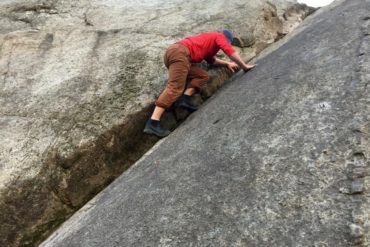 The event is hosted by TAWKROC, a chapter of the Access Society of BC, and its mandate is to promote outdoor climbing and raise funds for new route development in the region. 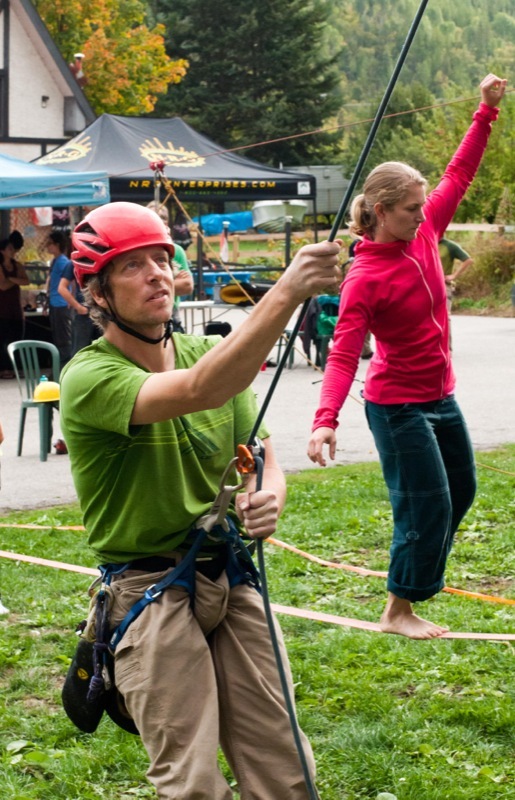 Huge thanks go out to this year’s sponsors: CASBC, Vpo Nelson, Powderhound, ROAM, Snowpack, High Country Sports, Summit Mountain Guides, Black Diamond and Kootenay Meadows.